While going through some documents, videogame historian and author Leonard Herman found this order form he sent to me back in March of 1994. It is for the supplement to his groundbreaking The Fall & Rise of Home Videogames, the first serious history book on the subject. As you can see by the "Return to Sender" label (cue the Elvis Presley tune), I never received this note (though he may have sent another). 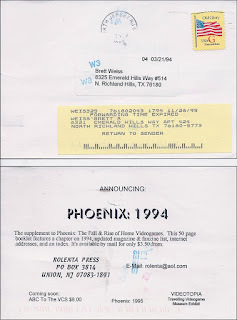 However, Leonard did mention to me that I was the FOURTH person to purchase a copy of the first edition of Phoenix (great record keeping, Lenny! ), which I think is pretty darned cool. Leonard his working on a fourth edition of the book, which will be out sometime early this year. 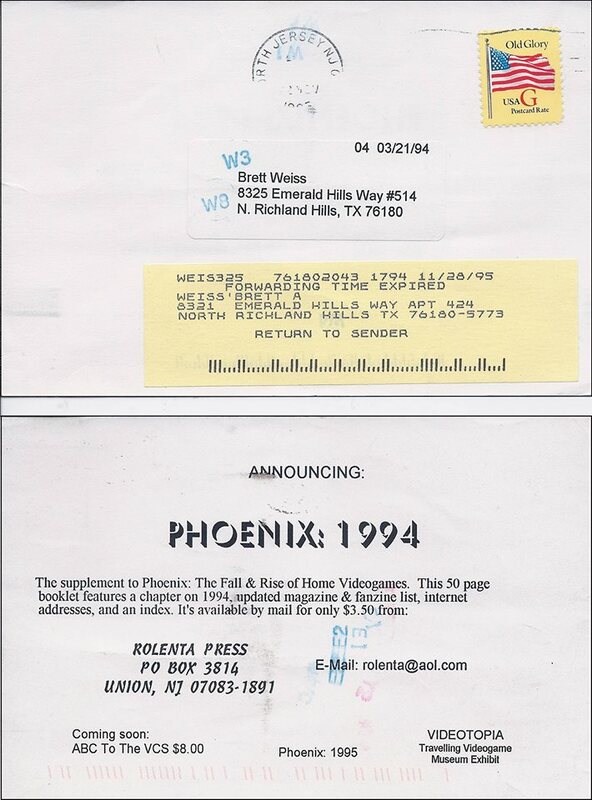 It will be called Phoenix IV: The History of the Videogame Industry. I bought the second edition when it came out (I've since lost it)I must have read it a hundred times. I can't wait for #4! I'm looking forward to it also!